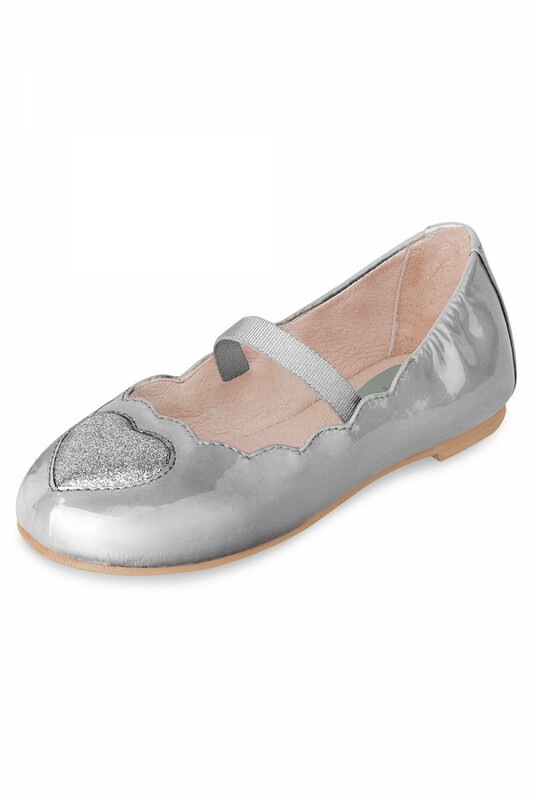 Super cute scalloped edged ballet flat for toddlers with glitter heart decal on vamp features a single elasticized strap to hold the shoe firmly in place. Luxurious lining and our iconic padded teardrop at the heel offers superior comfort. Non-slip rubber outsole makes this shoe ideal for little ones learning to walk.